On a perfect summer's day, Mr Perfect was looking more perfect than usual. His house was looking even more perfect than usual. That's because it was Mr Perfect's birthday and he was having a party. The Mr Men and Little Miss have been delighting children for generations with their charming and funny antics. Bold illustrations and funny stories make Mr Men and Little Miss the perfect story time experience for children aged two up. Have you met them all? It all started with a tickle. Roger Hargreaves' son Adam asked him what a tickle looked like. In response, Roger drew a small orange man with extraordinarily long arms that could reach anywhere and tickle anyone. Mr Tickle, the first of the Mr Men, was born. Mr Tickle was soon joined by Mr Greedy, Mr Happy, Mr Nosey, Mr Sneeze and Mr Bump. 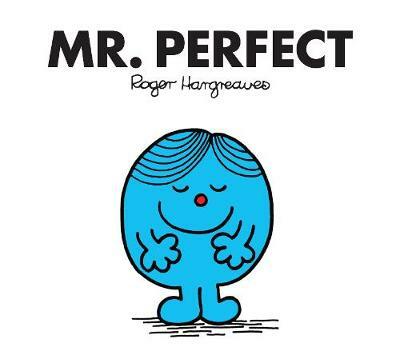 The books were an instant hit and Roger went on to create many more Mr Men and Little Miss characters. What Roger really wanted was to make children laugh, which is probably why his own favourite character is Mr Silly.